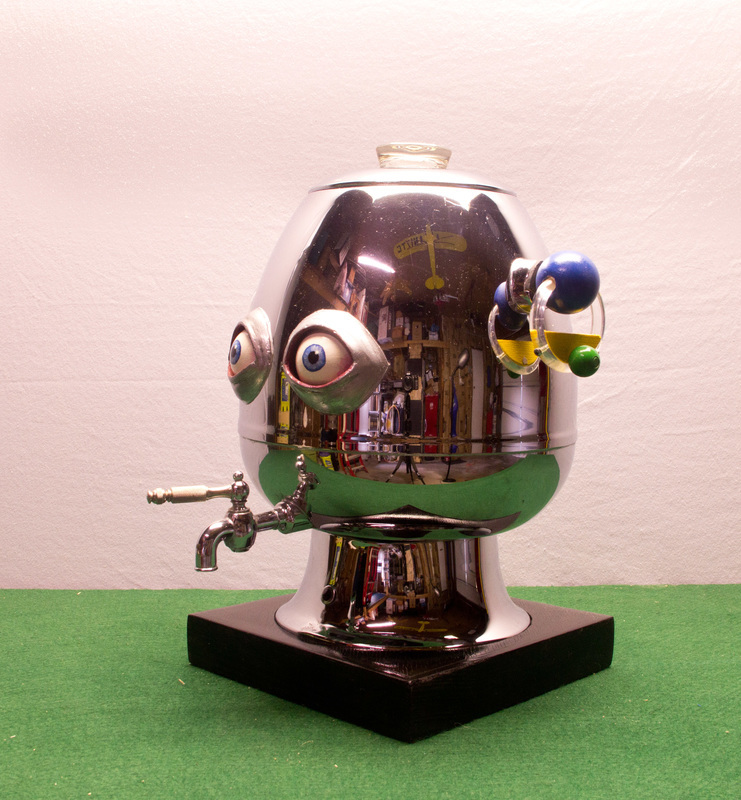 A coffee pot in need of a cup of coffee! 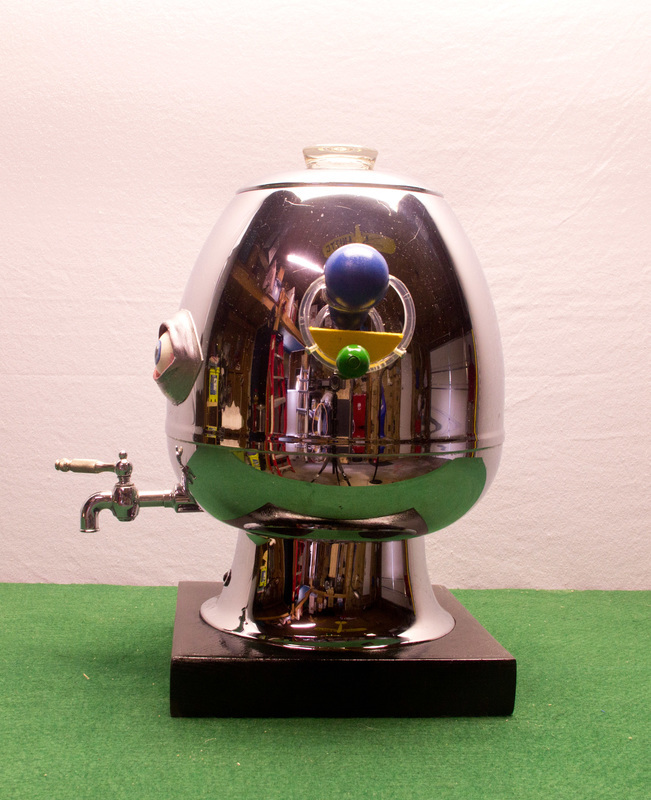 I have had this coffee urn for some time and loved the shape. I wanted to make an automaton with it and considered a coffee monster popping out of the top similar to Dug North's Inhabited Hat. I didn't go that route but instead went this way. 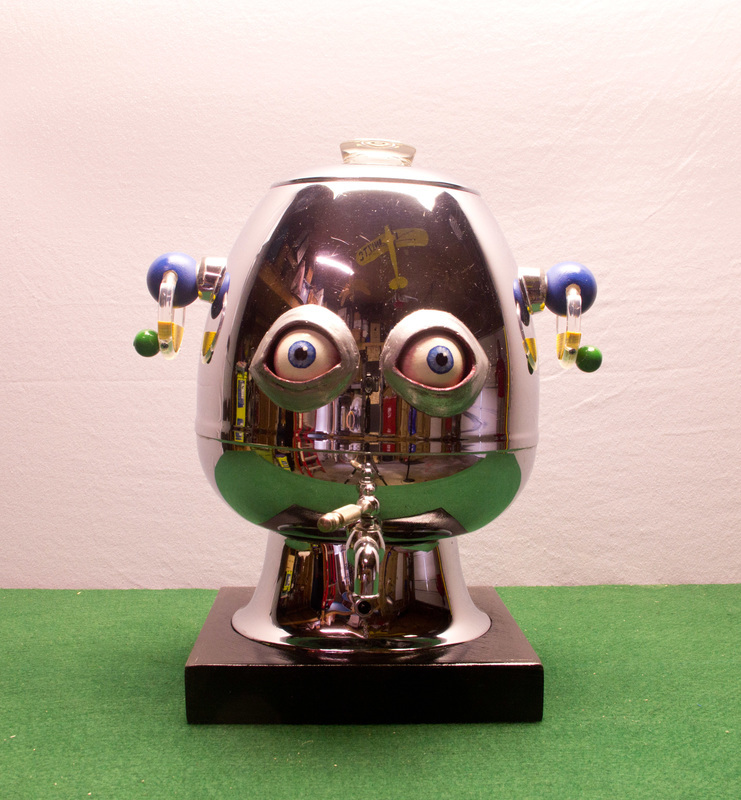 Initially I thought of making a case below the urn to house the mechainics but chose to put them inside the urn itself. The handle was removed and was drilled through for the axle. 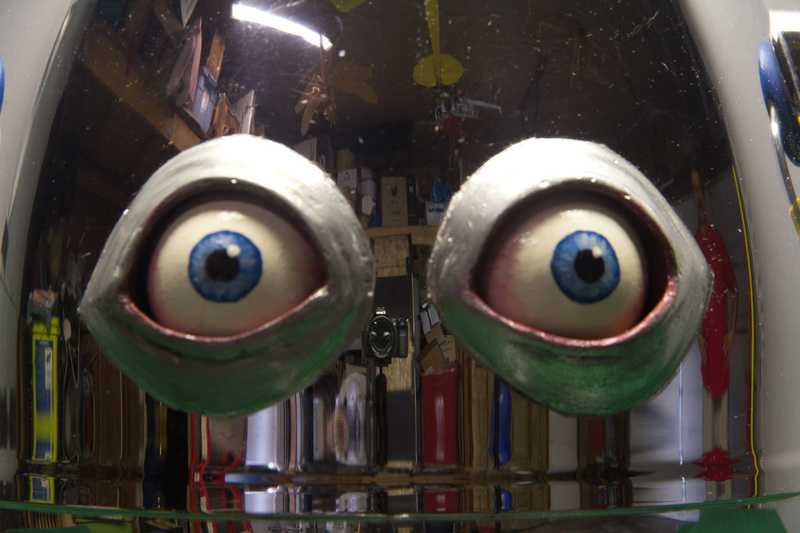 I wanted to try for a movable eyelid that would blink but decided the rapid eye movement, the lid chattering and lights flashing were enough of a challenge. 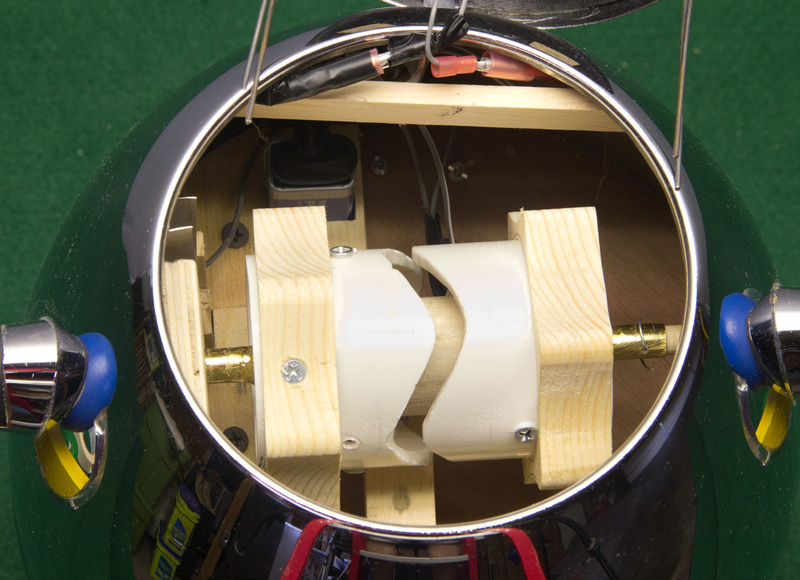 The eye movement is created with the use of a barrel cam made from a PVC pipe section that has 3 lobes on it. For every turn of the handle the eyes go back and forth 3 times. There are 2 hexagonal cams to cause the lid to chatter and a triangular cam that activates a switch for the LED lights. Dimensions: 11" X 11" X 14"
To Purchase please go to the Contact page.